THIS ITEM IS IN MINT CONDITION "FLAT" WITH ORIGINAL CELLOPHANE. 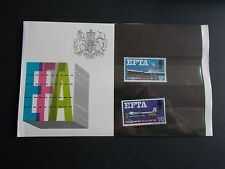 GB 1967 EFTA Presentation Pack VGC stamps Free postage!! 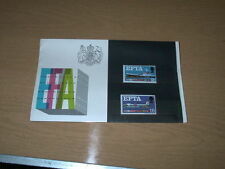 1967 EFTA Post Office Presentation Pack. Slight curling due to age. 1967 EFTA (phospher) Presentation Pack. Superb condition! GB 1967 EFTA EUROPEAN FREE TRADE PRESENTATION PACK SG 715 716 SCAN #11 RARE NOW. ASSOCIATION (EFTA). ISSUED IN 1967.